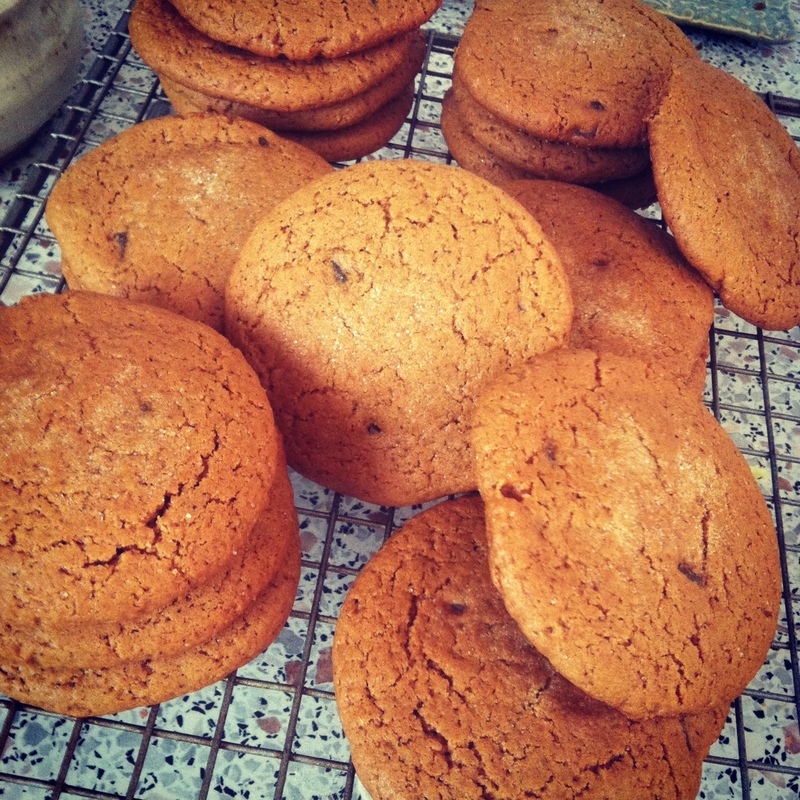 These are my “Ginger Three Times” Cookies. If you’ve had them; you know. They’re amazing. I would love to understand why some things just can’t be captured. I want photographs, not just mental pictures of things (actually a better word for things is probably situations) that are beautiful. I was driving this morning. It was incredibly gloomy, but in an attractive way. The sky was smooth, solid gray. The scattered trees on the horizon looked black, but more like deep hunter green and burnt coffee brown. Between me and this skyline was a field. It was made of rich, tilled soil. The night’s snowfall had filled in its pockets leaving it perfectly speckled. The tiny European road that I was driving on wound around bends that are familiar to me on my drive between home and the Army post. This sky; dark and ominous and promising more extreme weather, was such an inspiring force to me. I wanted someone else to share it with. In this age that I’m living I have the ability to photograph it and share it (practically) instantaneously. But I couldn’t. The photo could never justify what I saw; which was probably more about what I was feeling. I think this inability to capture holds true in many situations. I also can’t take a good photograph of Christmas lights at night; as much as I want to. For me, a photo’s composition can never record the fine details surrounding the situation you have in your mind. In case you haven’t noticed, this is also true of my food photography. The snow keeps falling. I’m home now; baking cookies. There’s no trick a small business owner will not employ. Free cookies. 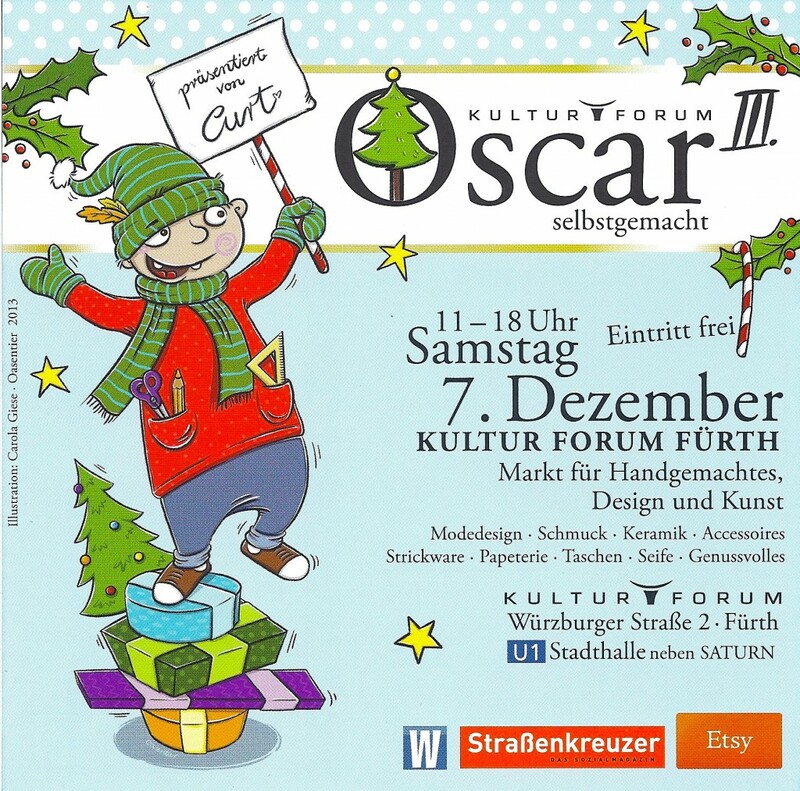 Free Origami….you better come se me tomorrow at Oscar Selbstgemacht and purchase the most fabulous winter fashion accessory of your life. I’m excited. This Saturday will be the finale this season. After that I will be out of commision until the 18th. After that of course; Christmas, skiing, and New Years will slow down my process. (and hopefully yours too.) So if you need something please tell me now. I just posted the last of my current inventory on the FB. Come January 1st I will begin sewing again. I’ve got three special orders lined up, but you know I’d love more. Hopefully you know that I remain sewing, and painting, and crafting, through out the year. Feel welcome to contact me anytime with an order or great idea. This entry was posted in Florida Scarf and tagged bazaar, cookies, florida scarf, germany, handmade, oscar selbstgemacht.